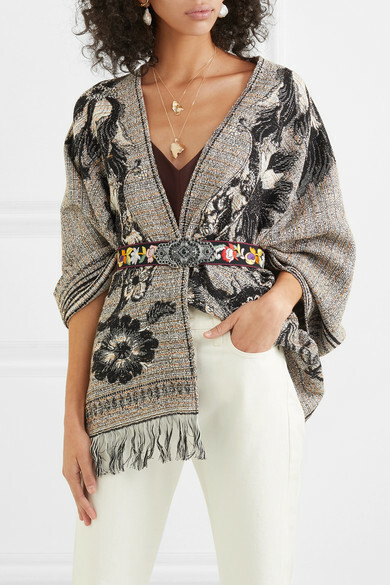 No one does authentic bohemian glamour quite like Etro - even its accessories are folksy and artful. 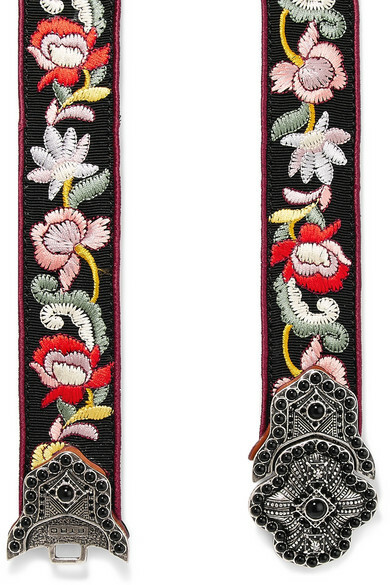 Backed in tan leather, this belt is made from faille that's decorated with vibrant floral embroidery. The burnished silver clasp is engraved and topped with scores of smooth black stones. Wear yours over a billowy dress or cardigan. Shown here with: The Row Camisole, CASASOLA Jeans, Etro Wrap, 1064 Studio Necklaces, Chloé Earrings.